Get ready to have a great time with Aud Mini Party! This portable rubberized Bluetooth speaker is integrated with multicolor LEDs that bring your party to life by providing a fun visual and aural experience. 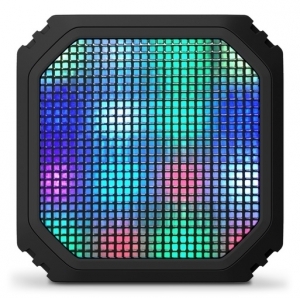 The LEDs flash and strobe in multiple dazzling colors, and can be cycled through six preset lighting themes. If you receive a call, the built-in speakerphone allows you to answer with a push of a button. 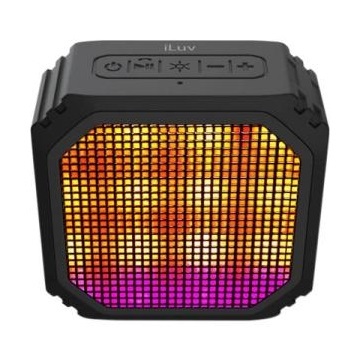 By combining lively, colorful lighting with bold, powerful sound, Aud Mini Party makes every occasion a memorable one. • Aud Mini 6 is as small as the iPhone 6, making it the perfect size to slip into your pocket for on-the-go music. It's also designed with a convenient carabiner that allows you to easily clip it to any strap or loop on your clothes, backpack, or purse. 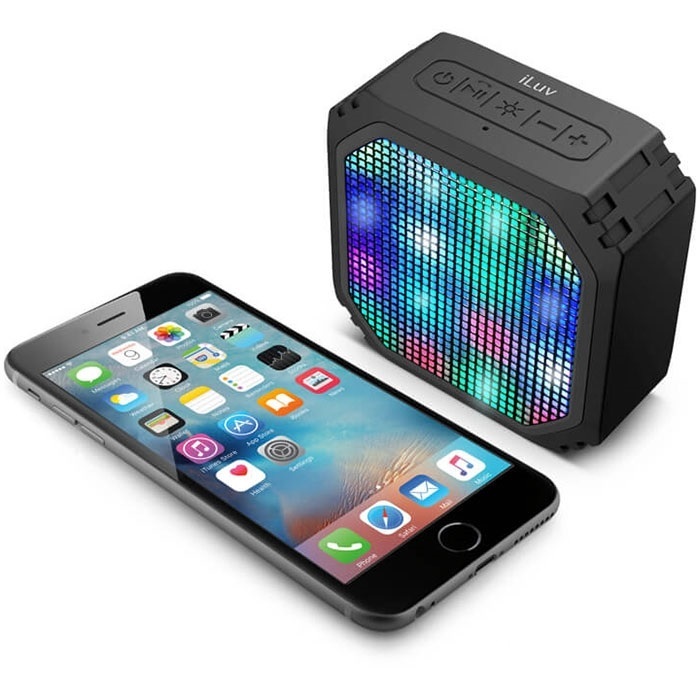 • Slim, compact and lightweight, Aud Mini Party is the perfect speaker to bring along on vacations, parties and hangouts. Instead of lugging around heavy speakers or setting up complicated sound systems, just take Aud Mini Party out from your pocket and get the party started right away. • The rubberized coating covers around the speaker and the buttons. The durable rubber exterior is strong enough to resist from any impacts and scratches when you run a party. • Turn the volume up and get the Party started. Aud Mini Party is equipped with a full-range speaker that deliver big, bold sound to get everyone moving. • Connect your smartphone or tablet to Aud Mini Party via Bluetooth to stream music wirelessly. Alternately, you can play music from your iPod or any other 3.5mm audio device by plugging into the convenient aux input. On a single charge plays 4 hours of music.